Whether through reauthorizing the Elementary and Secondary Education Act or using the Department of Education’s waiver authority, federal policymakers must fix what No Child Left Behind got wrong, while salvaging what it got right: a focus on improving achievement and closing gaps for all groups of students. 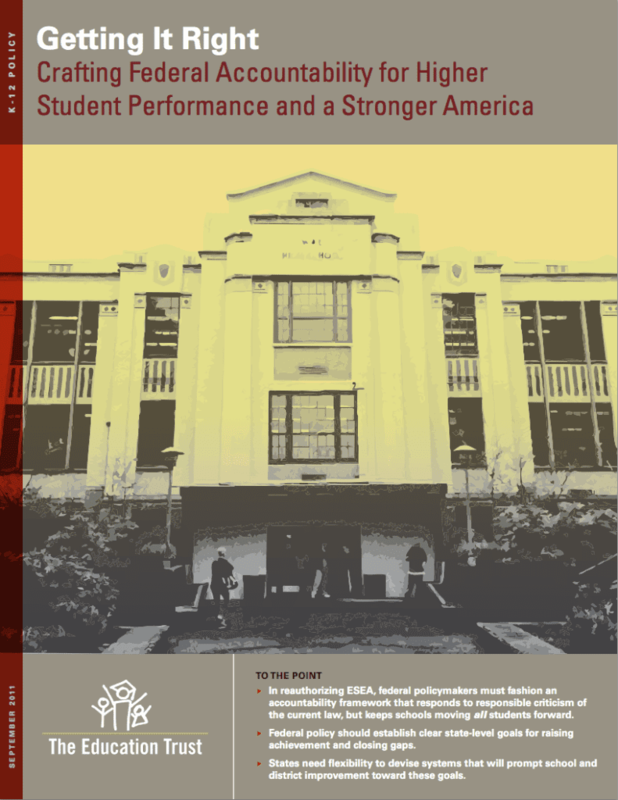 In this report, The Education Trust details its recommendations for new federal accountability policy. Responding to responsible criticism of the current law, this proposal outlines ambitious but achievable state-level goals for raising achievement and closing gaps, while calling for greater state flexibility to devise systems that will prompt schools and districts to move toward these goals.